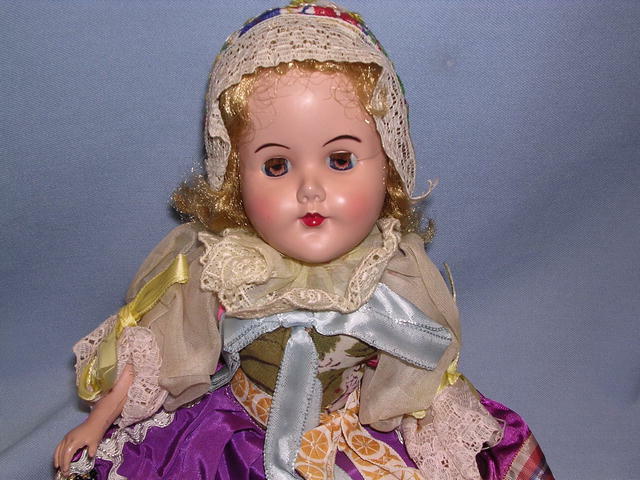 Beautiful Vintage Doll in Regional Costume is a plastic jointed arms,legs and head. Blonde hair and brown sleep eyes. 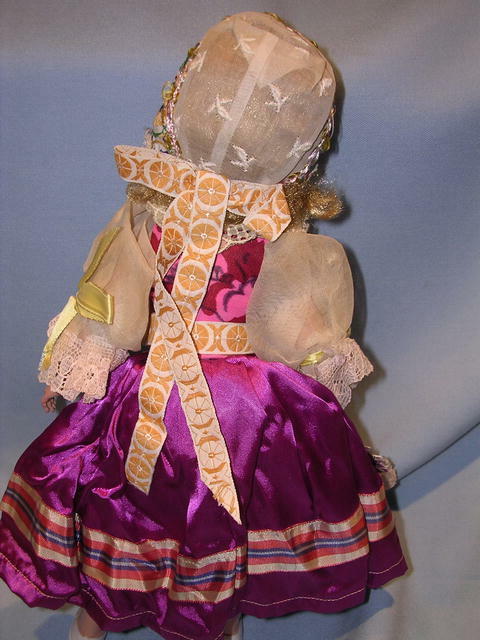 Her outfit is done in taffeta multicolor ribbon like materials with lace, an embroidered hat and gauze under garments and painted on shoes. She is in very good condition. 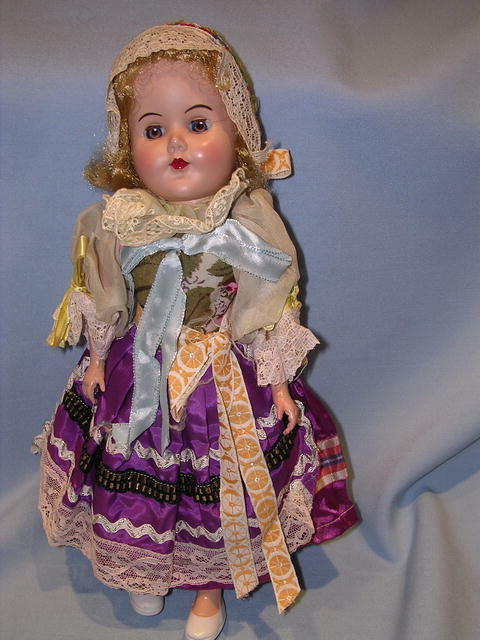 Items Similar To "Vintage Regional Costume Doll"